These glasses feature a smaller rhinestone frame and smoke lenses designed for smaller heads. 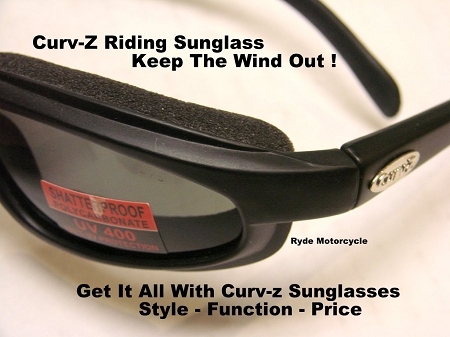 Anti-fog, distortion free riding glasses are the perfect eye wear protection for motorcycle riding. These top quality shatterproof glasses blow away cheap imitations. The lightweight design is comfortable to wear and the soft foam seals out wind and dust from your eyes. After a couple of rides you will wonder how you were able to ride your motorcycle without these glasses. 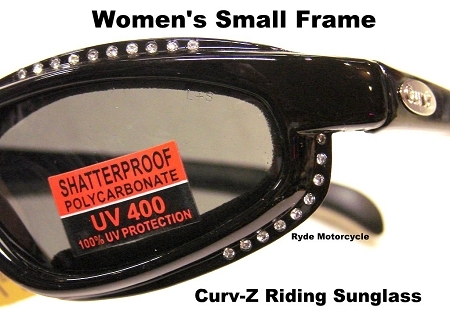 These reasonable priced sunglasses are comfortable to wear, feature shatterproof lenses with Anti fog coating and will be a great addition to your riding gear!